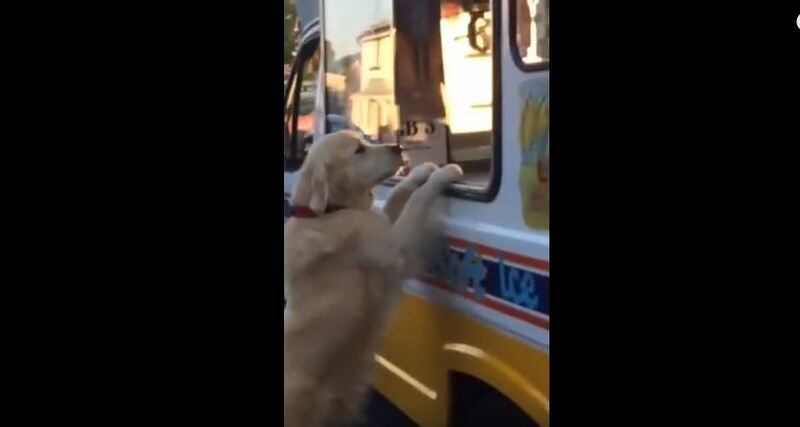 I scream, you scream, and even adorable golden retrievers scream for ice cream! This clever boy doesn’t need his human’s help to place his order. As soon as the pup, whose name is Zack, hears that unmistakable melody of the ice cream truck, he rushes off to grab a sweet treat all by himself. He could easily be mistaken for an unusually fuzzy little kid! He even lingers for a moment hoping for a second helping. Now that’s one happy customer. I just hope they didn’t forget the sprinkles!